When compaction gets challenging, an add on compactor has the job covered. Easily fitting onto excavators, an add on compactor is designed to compact in hard-to-reach places. 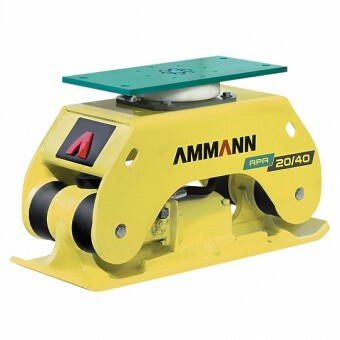 Whether you’re working on deep, narrow trenches or particularly steep grades, an add on compactor makes the job easy. Best of all, add on compactors have the capacity to provide more power than most compaction machines for these tight and awkward applications. Whatever the excavator size, we have an add on compactor to fit. 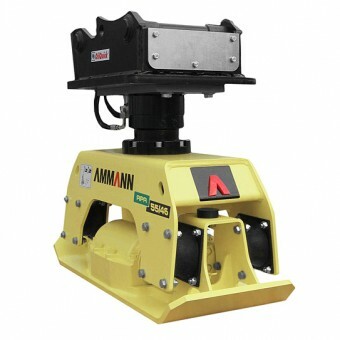 The smallest Ammann unit weighs in at just 160kg and is designed for mini excavators in the range of 2 to 5 tonnes, making it ideal for gardening and landscaping applications. The largest unit we stock is comes equipped with a standard hydraulic 360° infinite rotating motor and is suitable for excavators from 10 to 40 tonnes. 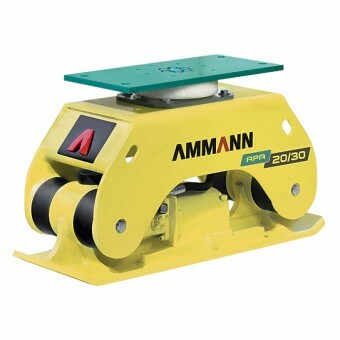 Our wide range of add on compactors by Ammann includes no rotator compactors, mechanical rotator compactors and hydraulic rotators for applications extending from landscaping and gardening, to pipeline, shaft and track construction.